A few hours and the problems with the vise have been corrected, shellac added and it’s off to work. Taking some oak scraps I made plugs to take care of my mis-drilled holes. 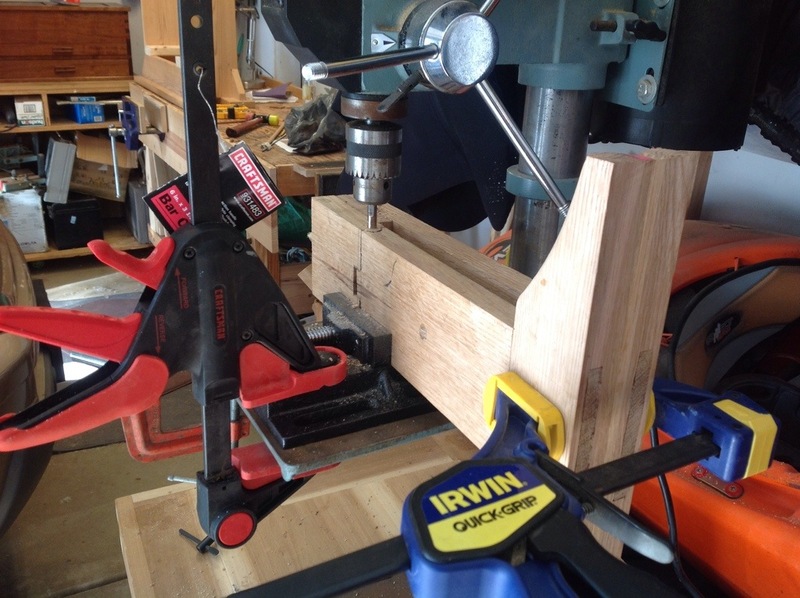 After the glue dried I pull out my drill press and carefully drilled a hole for the clamping bolt. 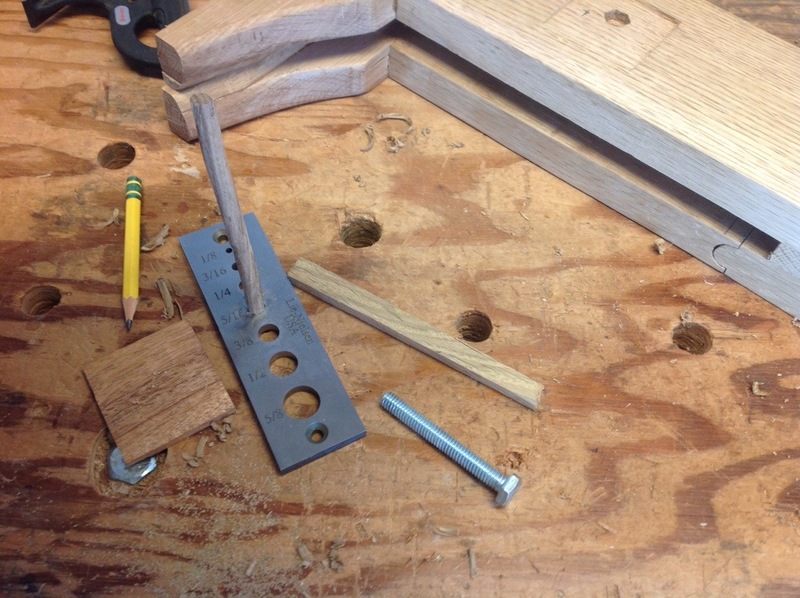 While things were set up I re-drilled the hole for the hinge pin making it large enough for a 5/16 wooden pin. 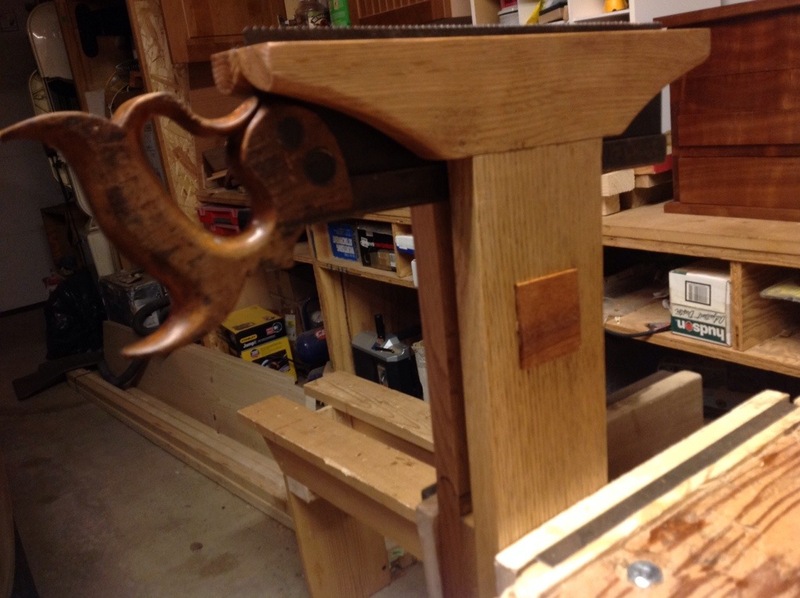 Finally I finish sanded the vise and added a couple of coats of shellac and went for a test drive.